Ten Years Later, SBI! is More Powerful Than Ever! Our sites have grown so big (thanks to SBI!) that in order to streamline our workflow and free-up our time for creation instead of maintenance, we decided to add several enhancements that SBI! will surely offer in the future. With over 2,000,000 visitors per month and nearly 5000 C2 visitor submissions a year, 99% of work-at-home website owners don’t need the kind of functionality we do. Early in 2012 we decided to undergo a complete restructuring of our “coolest” sites. It has been one of the most tumultuous periods in my 10-year online work-at-home existence. The sites stay on SBI! and any sort of custom-programming would be integrated into the SBI! platform. SBI! has given us so much in terms of knowledge and tools that never once did we consider leaving this awesome platform and community. We set out on this huge undertaking and began interviewing programmers. One-by-one each of the techies we interviewed told us that it would be much better and easier to move our sites away from SBI!. If we would have listened to them, by now we would have probably lost most of what we have built to date. We did finally find a super-talented programmer (Liad Guez from egstudio.biz) who was ready and willing to do the integration with our SBI! sites. We were as lucky to find Liad as we were lucky to find SBI! ten years ago. Once we’re done with this ongoing integration, I’ll write a complete case study outlining the challenges we have been faced with. Today (and for the past ten years) I pay $299 a year to SBI! per site. Now, after the integration, I pay an additional hosting service nearly $800 a month (!!) just for the bandwidth we consume. To my astonishment, only after we started the process, I discovered that SBI! had us covered over the years and never once did anyone from SBI! ask us to pay more because of our very high bandwidth consumption. With SBI!, it doesn’t matter how big your site grows and how much bandwidth your site consumes, you’re completely covered. And, I also think it’s important to mention that the whole integration process into SBI was seamless and didn’t require us to ask for any special assistance from the SBI! technical team. So far, we’ve also paid over $25,000 for our custom-programming needs. $25,000 (!!!) on top of the monthly hosting fees. Thanks to our years with SBI!, we can afford this sort of expenditure. We’ve grown up and we’ve grown big and it’s the price we have to pay to streamline our work process and free-up our time. But one thing is for sure… The SBI! platform and philosophy continue to serve as the foundation of everything that we do. If you have any questions, ask them below and I’ll do my best to respond. 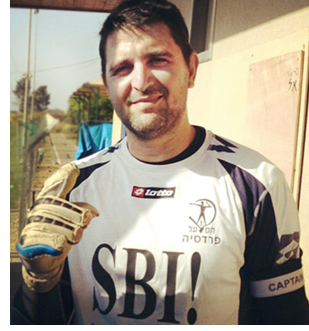 Congratulations on your amazing success Elad! You are a tall drink of inspiration! Oh and to the better half of this operation… Tamar… DOUBLE Congrats Girl! Elad’s the Rock Star, but you power the web stagelights that help him shine in the public eye. We see you behind the control board. To both of you, I just want to say that I am so blessed to know you and impressed with your integrity and character. Humble spirits. Generous in sharing your steps to success. Appreciative of how you arrived at the place you are today. Creative and unique in what you present. Professional, friendly, patient and industrious through good times and challenging times. NO WONDER your sites attract 2,000,000 visitors a month. It only makes sense. Hugs all around Coolest Party team.